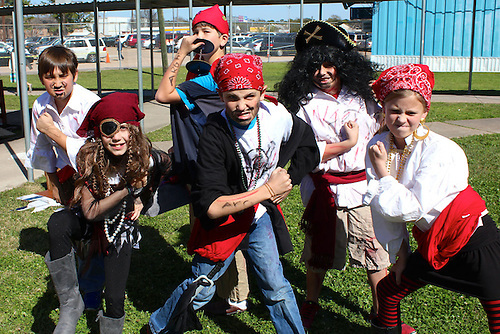 Seven Houston ISD Odyssey of the Mind teams advanced to the world finals after the state competition on Saturday. Odyssey of the Mind teaches students how to solve problems creatively as a group with up to seven members. This entry was posted in Elementary Schools, High Schools, Middle Schools and tagged Askew ES, carnegie vanguard, Condit ES, Herod ES, Longfellow ES, Oak Forest ES, Pin Oak MS, Poe ES, Revere MS, River Oaks ES, Roosevelt ES, Shadowbriar ES, sharpstown international, T.H. Rogers School, twain es, Walnut Bend ES, West University ES, Wharton K-8 on April 14, 2014 by HISD Communications. Six Houston ISD schools have Odyssey of the Mind teams that advanced to the world finals after the state competition on Saturday. Students at Sterling High School and Carnegie Vanguard High School will soon be the beneficiaries of a new partnership with the Houston Airport System. Mayor Annise Parker, along with Sterling HS students Jesse Soto, Javonte Woodson, and Abril De La Cruz, announced the new initiative, dubbed the Aviation Club, during a press conference held Oct. 25 at City Hall. The club will allow teenagers from both campuses with an interest in aviation or aerospace to explore those subjects through a series of monthly meetings held during the school year. It is designed to increase the number of young people pursuing careers in those fields. To participate, students must attend either Carnegie or Sterling, maintain a GPA of at least 2.5, and meet various other criteria. To learn more, please visit the Houston Airport System’s website. This entry was posted in Career/technical education (CTE), High Schools and tagged aviation, carnegie vanguard, Sterling High School on October 30, 2012 by HISD Communications. Fifty-six seniors from six different HISD high schools are among the semifinalists for the National Merit Scholarship program. These students will have the opportunity to compete for more than 8,300 National Merit Scholarships worth more than $32 million that will be offered next spring. To be considered for this scholarship program, about 1.5 million high school juniors took the 2011 Preliminary SAT/National Merit Scholarship qualifying test. The nationwide pool of semifinalists, about 16,000 students, includes the highest-scoring entrants in each state. To become a finalist, the semifinalist must have an outstanding academic record throughout high school, be endorsed and recommended by a high school official, write an essay, and earn SAT scores that confirm the student’s earlier performance on the qualifying test. The selected semifinalist students are from the following HISD high schools: Bellaire High School, Carnegie Vanguard High School, DeBakey High School for Health Professions, the High School for the Performing and Visual Arts, Lamar High School, and Westside High School. The 2013 National Merit Scholarship Winners will be announced starting in April 2013. This entry was posted in Achievement/Recognition and tagged Bellaire, carnegie vanguard, Debakey, HSPVA, national merit on September 13, 2012 by HISD Communications. Who: The June 2012 edition of HISD Up Close hosted by HISD Board of Education President Michael Lunceford takes viewers on a hard-hat tour of the new Carnegie Vanguard High School campus. This summer, HISD Construction and Facility crews are finishing up the state-of-the art facility so students and staff can move in for the start of 2012-2013 school year. The show also features interviews with Carnegie Principal Ramos Moss and the HISD 2011-2012 Principals and Teachers of the Year. What: Monthly HISD UP Close television show hosted by Board President Michael Lunceford. When: Throughout the month of June at www.houstonisd.org and on HISD-TV (Comcast channel 18 and AT&T U-verse channel 99) on Wednesdays, Fridays and Sunday at 8:30 p.m.
Why: HISD Board President Michael Lunceford is committed to showcasing some of the amazing things happening at HISD schools across the district, in addition to highlighting district initiatives and accomplishments. His monthly show features a tour of an HISD school or project, and segments showcasing the academic accomplishments of HISD students and the dedication of HISD staff. This entry was posted in High Schools and tagged carnegie vanguard, construction, HISD Up Close on June 6, 2012 by HISD Communications. Houston ISD high schools are well represented on two national lists issued today that seek to identify the top high schools in America. The strong showing on the Washington Post High School Challenge rankings and Newsweek’s America’s Best High Schools of 2012 are the result of HISD’s Advanced Placement initiative that began with the 2009-2010 school year. That was the year Superintendent Terry Grier called on all high schools to expand student access to college-level AP courses and the district agreed to pay the exam fees for all students in those classes. “This is great recognition of the hard work being done by teachers and students at high schools across the Houston Independent School District,” said Superintendent Terry Grier. Today, all HISD high schools offer a minimum of 10-15 AP classes, and the number of exams earning a score of 3 or higher, which is the score most colleges require for course credit, is up 35 percent. HISD’s strong AP progress is one reason the district is among four finalists for the Broad Prize for Urban Education, which recognizes the top urban school district in America. This week, a Broad Prize panel of experts is touring HISD schools as part of the evaluation process. Twenty-one HISD high schools earned recognition in the Washington Post High School Challenge, a list of 1,800 schools representing the top 9 percent in the nation when it comes to preparing graduates for college. Only 125 Texas high schools made the list, and HISD campuses – Carnegie Vanguard, Eastwood Academy, and DeBakey High School for Health Professions – represent three of the national top 100. 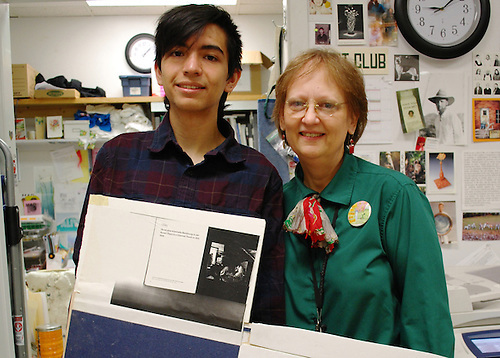 This entry was posted in Achievement/Recognition, High Schools, Uncategorized and tagged carnegie vanguard, debakey high school for health professions, Eastwood Academy on May 21, 2012 by HISD Communications.